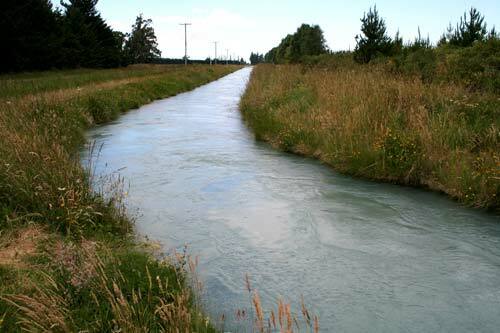 Irrigation of the Canterbury Plains was essential to the success of mixed farming. Large-scale irrigation began in 1945 with a diversion race from the Rangitātā River. By 2002 there were 188,170 hectares of irrigated land. This channel is at Mayfield, north-west of Ashburton.